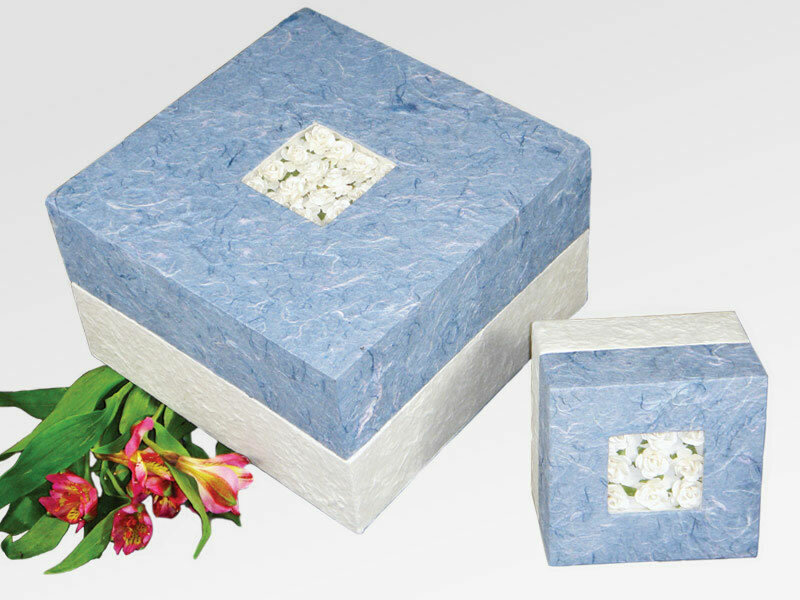 This beautiful Embrace Floral Bouquet Biodegradable Urn is sustainably made from handmade paper, with handmade paper flowers inset into the blue top. Click on Detailed Images to see a close-up of the standard size urn and mini urn. The urn is suitable for earth burial, temporary storage, or ceremonial use. This urn will last for decades as long as it is kept inside in a dry environment. Included with this urn is a biodegradable plastic bag. Cremains should be transferred to the biodegradable plastic bag before being buried. After burial, this urn will biodegrade naturally over time. The time it takes to biodegrade depends on the depth of burial and the temperature and wetness of the soil. These urns exceed the durable container and TSA airline carry-on requirements. This urn is available in three different sizes. Usually ships same business day if order is placed before noon Eastern Time.